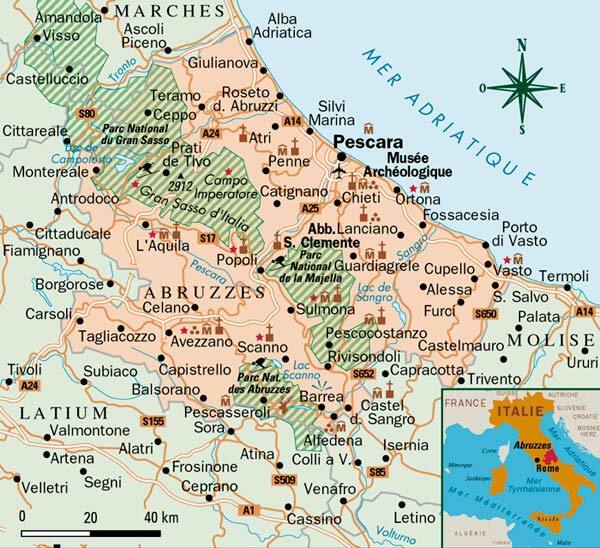 The Battle of Belvedere took place in the Abruzzi massif. In the winter of 1944, the Abruzzi mountains were icy cold and covered in mud – a far cry from the tourist image of an Italy filled with sunshine and laughter. A rainy autumn followed by a Siberian winter created a particularly hostile environment for both Allied and German soldiers. Rivers and streams burst their banks and the service regiments had a Herculean task to make the roads passable for the armoured vehicles. The weather was so wet that in places mules were preferable to the best vehicles of the American army. What was the Belvedere ? What was the Belvedere? The question arises as there seems to be some ambiguity about what the term “Belvedere” means exactly: is it a mountain, a range of mountains or a plateau? plateau about 400 metres high with rocky peaks and sharp ridges, rising to 681, 700, 771, 862, 875, 721, 752 and 915 metres, often with no vegetation. Between the peaks, poor arable soil is held in place by dry stone walls. The Rapido, which flows across the San Elia plain, and its tributary, the Secco, which flows down from Belmonte, follow courses that descend up to 40 metres. imposing terraced surface, reddish-brown, almost marmoreal. The Belvedere was there, straight ahead, on the other side of the valley, with its steep naked slopes, rising like a glacis to its mysterious summit. It looked like the mangy backbone of a dromedary, with several humps separated by unequal gaps. They were quite clear through binoculars, grey against the purple-brown background of the mountains rising on all sides. It was a surprising and dangerous paradox, that the Belvedere, a dominant position at the heart of the enemy’s defence system, was itself closely dominated. From Monte Cairo to Cifalco, a series of snow-capped summits – the Campanella, the Rotondo, the Piano – formed an amphitheatre, looking down on the narrow plateau which, at a lower level, had sole command of the route by which Cassino might be taken from the rear. Surviving war veterans usually refer to the Belvedere massif (not the Colle Belvedere) and describe a “mountainous plateau” located to the north east of the town of Cassino, about 8 kilometres from Monte Cassino. However, it may be that this description is not relevant as, on some Italian maps, Colle Belvedere refers to hill 761. The term used by the veterans is therefore perhaps not accurate in strictly geographical terms, and it was certainly the circumstances of the time that produced this generic term, which may be imprecise. One thing is certain: the Battle of Belvedere, like all the Battles of Monte Cassino, was conducted in a totally mountainous terrain along a front which sometimes extended for several kilometres. For the purposes of locating sites in this multitude of moderately high mountains, the soldiers refer, on numerous occasions, to “hills” each of which has a number corresponding to its respective altitude. This system of referring to numbered hills in the description of the fighting is unavoidable for the precision of the narrative. The Battle of Belvedere was not fought in trenches nor did it involve a frontal attack; rather it involved movements at different heights, and whoever held the high ground dominated assailants at lower levels, both literally and figuratively. Each battalion took rocky peaks, suffered counter-attacks, fell back (and therefore descended), and then retook the same peak. The terrain was mined everywhere and artillery fire was very frequent. The fighting often culminated in hand-to-hand fighting in which the enemy was killed savagely with a bayonet. The fighting was therefore, literally, bloody. 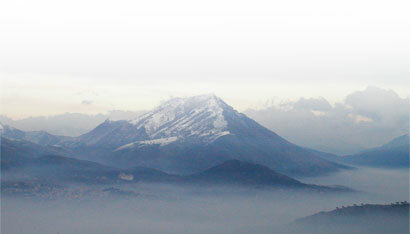 In addition, the intensity of the shelling was such that the landscape around Cassino came to resemble the moon. It was for this reason that Colonel Böhmler in his work “Monte Cassino” did not hesitate to describe the Battle of Monte Cassino as the “Verdun” of the Second World War. The term is perhaps excessive, particularly in comparison with Stalingrad, but it nevertheless illustrates forcefully that the Battles of Monte Cassino were certainly among the most violent battles of the Second World War.